Before coming to OneAccord, Chris concluded the sale of a small business that provides survival and mobility gear to the U.S. Department of Defense. During his ownership, Chris increased margins by 190% in a very competitive market. Before purchasing the defense business, Chris was the COO and part of the due diligence team for a venture capital group that acquired and combined manufacturing companies. Chris managed the construction and integration of facilities and processes, developed the operations team and led improvements to achieve a 75% reduction in work in progress (WIP). He oversaw the improvement of cycle time from an average of five weeks to four shifts and doubled capacity in 80% of the space. 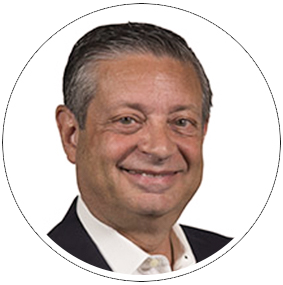 Chris has a long track record of improvement and has led lean transformations in aerospace, medical device and food processing companies, as well as other manufacturing organizations. During his tenure with GE and his own manufacturing services business, Chris accomplished many manufacturing efficiency and automation projects for companies like HP, Motorola, Ford, 3M, Boeing and more.